This new program is based on highly successful full-semester programs. But in just 4.5 days, you will learn from some of the top leaders in the railroad industry. These respected instructors will lead you through an intensive program designed for those at the entry through middle-management levels, who are seeking to improve their business acumen and management effectiveness in the ever-changing railroad industry. The Railroad Engineering and Safety program at the University of Delaware is housed within the Department of Civil & Environmental Engineering and offers courses to undergraduate, graduate, and professional & continuing education students. To learn more, please visit: http://railroadengineering.engr.udel.edu/ or contact our Professional Engineering Outreach office by calling 302-831-8302 or emailing enggoutreach@udel.edu today. See here for draft agenda. Overview of the Railroad Industry and Railroad Safety: Learn about the structure and organization of the U.S. railroad industry, its associations, and its unions. Railroad Safety: Learn about the safety trends in the industry and where safety issues remain. Government Agencies Dealing with Railroads: Learn about the numerous government agencies dealing with railroads. Be introduced to the “Ten Principles of Transportation” as well as to the recently published book (a copy of which you will receive as part of your course materials) American Railroads: Decline and Renaissance in the Twentieth Century. Gain an understanding of Railroad Financial Statements; Industry Analysis and Industry Structure; Measures and Metrics for Railroad Analyses. Learn from an overview of railroad merger history and economics, plus an economic evaluation of several projects. Introduction to some of the major technology issues in the railroad industry today. Understand how Amtrak was created and learn how the organization works with its freight railroad hosts and commuter railroad tenants. Grasp the current and future organization and financial issues surrounding Amtrak. Alternatives to coal traffic for railroads – short-haul intermodal? Strategic Leadership: Participate in eye-opening discussions and activities addressing critical topics for success in leadership positions: conceptual capacity; interpersonal skills; leading effective teams; and leading change. Registration is now closed. Please contact us if you are interested in future offerings. Program Fee includes extensive course notes; continental breakfasts, and all breaks. Lunches are not provided; however, Newark offers convenient options. Early Registration Discount: Deduct $100/person if registering prior to March 30, 2018. Cancellations and Substitutions: Refunds will be granted if the request is received in writing by April 9th, 2018. Substitutions are permitted up through the first day of the course. Steve R. Ditmeyer, Principal, Transportation Technology and Economics, has worked in transportation-related positions in both public and private sectors for his entire career, starting with summer employment with the Terminal Railroad Association of St. Louis, the New York Central Railroad, and the Erie Lackawanna Railroad. Having earned a BS in Industrial Management from MIT and the MA in Economics from Yale, he also completed Yale’s Certificate in Transportation. After graduate school, he joined the Missouri Pacific Railroad. He served his Army active duty tour with the Logistics Directorate of the Joint Chiefs of Staff, and in the Army Reserve he served with the 3rd Railway Brigade. Mr. Ditmeyer was a transportation economist at the World Bank; General Manager of the Alaska Railroad; Director of R&D and Chief Engineer – Communications and Control Systems at Burlington Northern Railroad; and Vice President – Marketing and Business Development at the Locomotive Division of Morrison Knudsen Corporation. He served as Associate Administrator for Policy (where he worked on freight railroad deregulation) and Associate Administrator for Research and Development at the Federal Railroad Administration. From 2003 to 2007, he was detailed to the Industrial College of the Armed Forces where he served as the US DOT Faculty Chair, associate professor of economics, and leader of the transportation industry study. From 2007 through 2015, he was adjunct professor with Michigan State University’s Railway Management Program. He was a member of the Eno Center for Transportation’s Working Group on NextGen Air Traffic Control in 2014 and 2015, and a member of an APTA Peer Review Panel on Washington Metro’s Rail Operations Control Center Procedures and Communications in 2015. 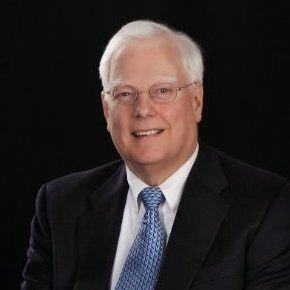 Robert E. Gallamore, PhD, is a nationally recognized expert on railway and intermodal economics, technology, and safety, having spent more than 40 years in policy and leadership positions in government, industry, academia, consulting, and in the non-profit sector. From 2001 until his retirement in 2006, Dr. Gallamore served as Director of the Transportation Center and a professor in the Kellogg School of Management at Northwestern University. Since retiring from Northwestern, he has expanded his consulting practice, The Gallamore Group, co-developing and co-teaching a course for railroad executives at Michigan State University. Prior to joining Northwestern University, Dr. Gallamore represented Union Pacific Railroad at the Transportation Technology Center, Inc. (TTCI) in Pueblo, Colorado, where he was AVP Communications Technologies and General Manager of the North American Joint Positive Train Control Program. Before this industry assignment, he had been General Director, Strategic Analysis, for the Union Pacific Railroad in Omaha and an executive with UP Corporation in New York City. Dr. Gallamore has also served in several positions with the federal government: Deputy Federal Railroad Administrator under President Jimmy Carter; Associate Administrator for Planning of the Urban Mass Transportation Administration (now Federal Transit Administration); and System Plan Coordinator with the United States Railway Association (USRA), which established Conrail out of the facilities of the bankrupt Northeast railroads. Dr. Gallamore earned his A.B. from Wesleyan University before heading to Harvard University, where he earned the M.A. in Public Administration and a Ph.D. in Political Economy and Government. In 2014, Harvard University Press published the book American Railroads: Decline and Renaissance in the Twentieth Century, co-authored by Dr. Gallamore and distinguished economist John R. Meyer. 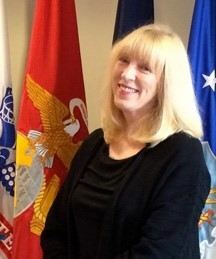 Christina L. (Chris) Lafferty is Adjunct Professor of Leadership at the University of Delaware and Michigan State University, where she teaches in their Railway Management programs. She is also a consultant with The RBL Group. Previously, she was Professor of Behavioral Science at The Eisenhower School, where she taught for nine years in the Strategic Leadership Department, served as the Director of Research and Writing, and co-led the Transportation Industry Study. An Air Force Reserve veteran, Dr. Lafferty retired as a Colonel in 2007 after 28 years of service. Dr. Lafferty’s civilian career has included work as an advance practice oncology nurse extern at Georgetown University Medical Center and nursing for Hospice of Northern Virginia. She has taught communication at Ohio University and Arizona State University and lectured at Air University, Howard University and The George Washington University, where she also served as Adjunct Professor of Organization and Human Development at the Center for the Study of Learning. Dr. Lafferty and her therapy dog, Layla, are honored to serve on the Walter Reed Army Medical Center’s Red Cross Therapy Dog Team. 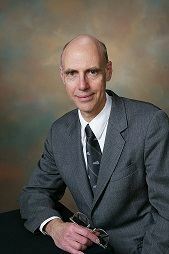 Allan M. Zarembski, PhD, P.E., FASME, Hon. Mbr. of AREMA joined the University of Delaware faculty as Research Professor and Founding Director of UD’s Railroad Engineering and Safety Program in 2012. An internationally recognized authority in the fields of track and vehicle/track system analysis, railway component failure analysis, track strength, and maintenance planning, Dr. Zarembski founded and served as President of ZETA-TECH Associates, Inc., a technical consulting and applied technology company in 1984, now an independent business unit of Harsco Rail. Prior to that, he had served in R&D positions with Pandrol, Inc. and Speno Rail Services Co., and was Manager of Track Research for the Association of American Railroads. He has also served as Deputy Director of the ASME’s Track Train Dynamics Program, and has presented numerous railroad engineering short courses throughout the U.S.